I’m back from Amsterdam and can now fire up the propagator. Sown today: 4 Tsygansky Baron pepper, 4 Lipstick peppers, 12 Padron peppers, 4 Big Jim (didn’t germinate last year, fingers crossed! ), 4 Hot Fish, 5 Royal Black, 4 Joe’s Long, 4 Lemon Drop, 5 Aji Fantasy, 5 Piquante/Pepperdew, 4 Rocoto Orange Manzano, 2 Rosa Bianca aubergines, 2 Baby Ophelia aubergines and 6 probably tomatillos but possibly dwarf cape gooseberries. Shouldn’t lose concentration by watching the telly. I am going to have to control my itchy fingers since the greenhouse isn’t up. I don’t want to overcrowd the flat. Spare chillies will be firmly given away or composted this year. My Lemon Drop chilli that was overwintering happily has suddenly become very unhappy. The leaves are incredibly pale and are wilting and I think it will shortly be for the compost. So it was definitely time to sow some back-ups. Of the 5 Facing Heaven chilli seedlings, 1 died and another is looking stalled so might be on the way out too. 3 strong seedlings still there though, with true leaves about to start coming out. One memory from Amsterdam – there are allotments in the Stedelijk museum! 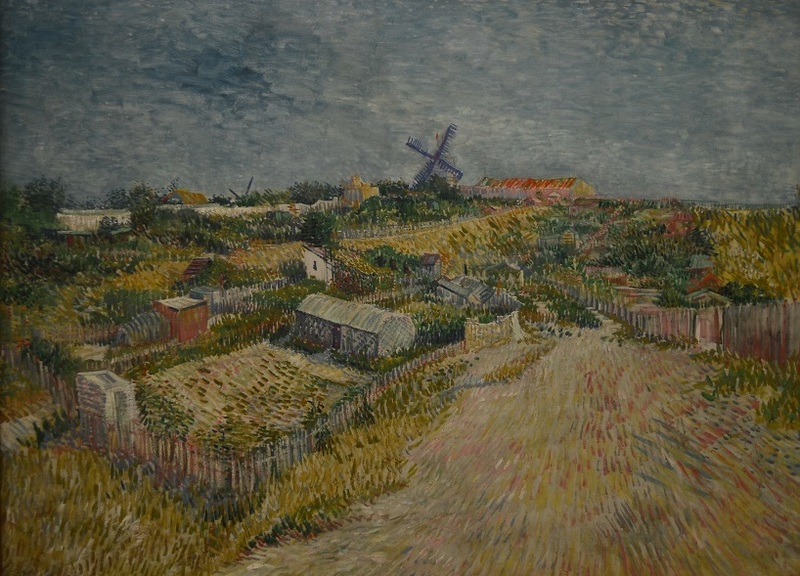 Van Gogh painted the vegetable gardens at Montmartre. It’s gorgeous. Edit to add: we had the Muscat de Provence squash last night as the top was going soft. 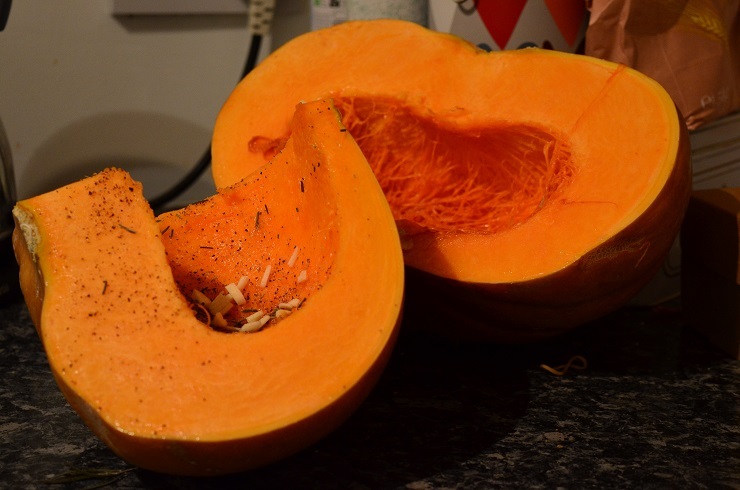 It might have just been too old, but it didn’t taste brilliant roasted – a bit too watery and the flesh is stringy. Looking up reviews of muscats it seems a fairly common result. Will try the rest of the half in soup and see whether that is any better. It was hand-pollinated so I’ve saved some of the seeds for re-growing and I will try again – next time I won’t leave eating it till so late. The remaining Thelma, Futsu, Rouge Vif and butternuts all seem to be holding strongly though, with no rot spots or soft bits.